We believe that there are many of you, prepared by God and ready to pray for an inheritance that belongs to our brothers and sisters in Ojai Valley. In coming along side of them, you too, will possess your own God given inheritance. That is why we are calling the whole body of Christ in Ventura County, Evangelical, Historic, Catholic, Charismatic Latino, Anglo, brothers and sisters of all races, and all different streams who love Jesus, to join us on this adventure of love. We are committing to pray Scriptures turned into prayer for 8 months via email, and to join together with our brothers and sisters in Ojai, worshipping at Libby Bowl in early Fall, 2015. 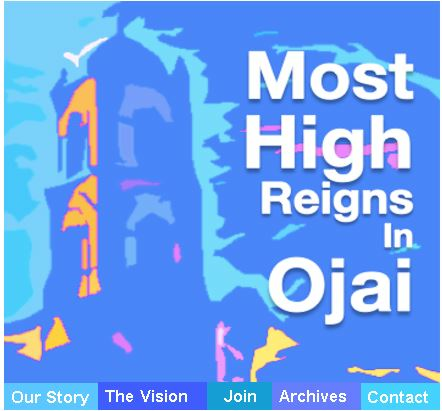 If you’d like to opt in for a daily short email of Scripture turned into prayer for Ojai, from the Psalms Sign up here.